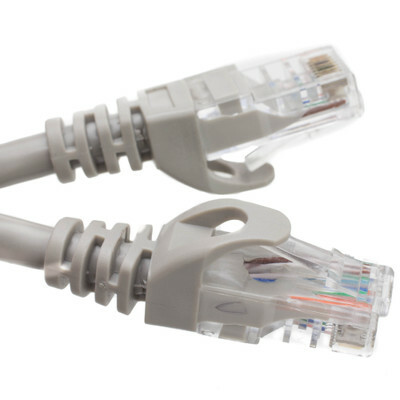 Cat6 Ethernet cables of the 4 foot length are typically used to connect a Cable or DSL modem to a router/switch in the home or office or for particularly long patch panel runs inside server/network rooms. Though you may find many uses for such a length. Cat6 cables are used for networking, data transfer, and phone lines. Cat6 Cable is used in network applications and has been designed specifically for Gigabit Ethernet applications. They perform at high-data transfer rates, and work with ATM and gigabit speed products. 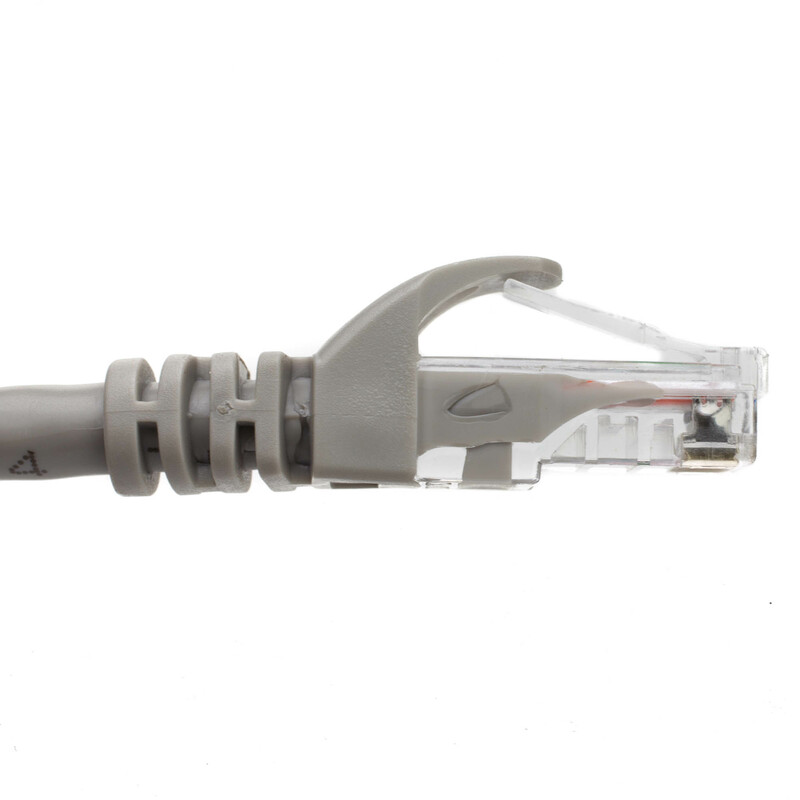 This particular cable is a gray UTP (Unshielded Twisted Pair) patch cable with molded boots (snagless installation) and extra protection for the RJ45 connector and clip. Cat6 cable includes a spline to help ensure separation between the pairs which limits cross talk. The connectors are wired to the T568B standard. The individual conductors are 24 AWG (American wire gauge) stranded pure copper. Cat6 patch cables are stranded to improve flexibility. Pure copper conductors provide the best signal possible. The RJ45 plug features gold connectors to prevent corrosion thus ensuring a longer cable life. 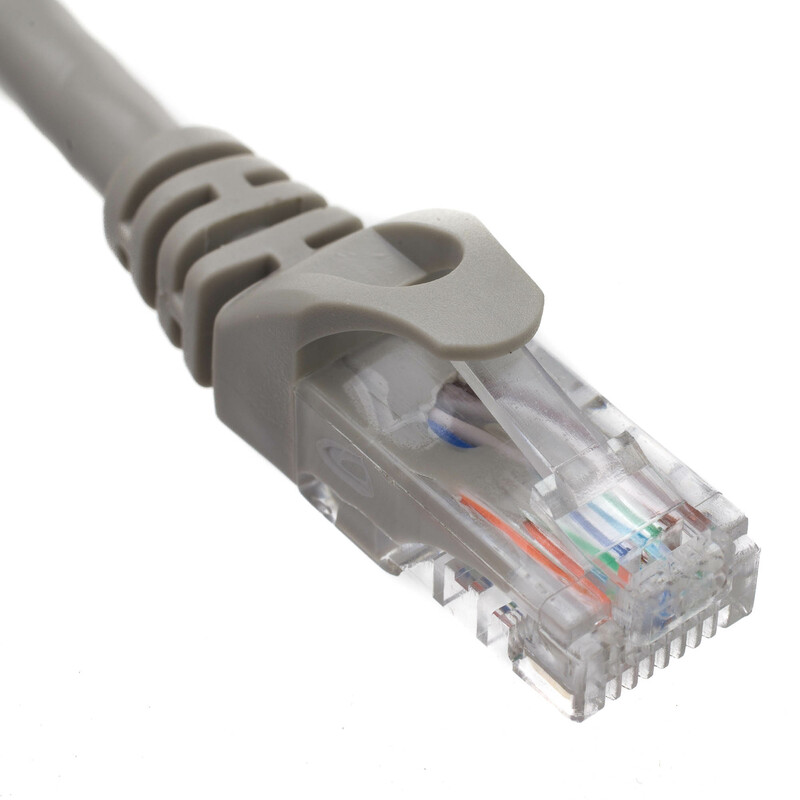 Our Cat6 Ethernet patch cables exceed the EIA/TIA-568-C standard.